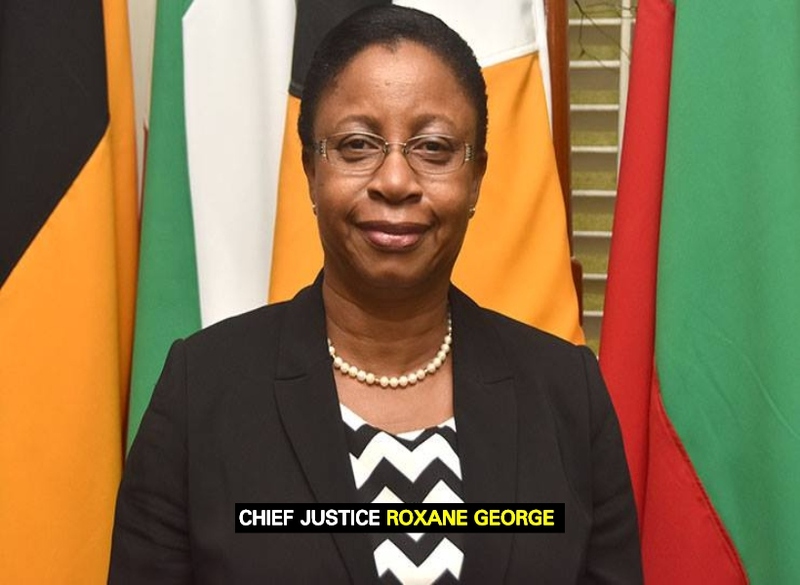 The vote cast by expelled Alliance for Change (AFC) parliamentarian Charrandass Persaud in favour of the vote of no confidence is valid, declared Chief Justice Roxane George, who also ruled that the no-confidence motion debated on December 21, 2018, by all members of the National Assembly, was lawfully passed. In ruling this afternoon that the no-confidence motion was properly passed, the Chief Justice said that same was carried by a majority of the 65 members of the National Assembly. Citing several case laws on the issue of determining a majority of members of a National Assembly, the Chief Justice explained that 33 members constitute a majority of Guyana’s National Assembly. As such, Justice George said that the order of Speaker of the National Assembly Barton Scotland that the No Confidence Motion, Resolution No.101 was passed by the National Assembly is legally binding. Furthermore, the Chief Justice declared that Charrandass Persaud is not qualified for election as a member of the National Assembly by virtue of his own act and acknowledgment of allegiance, obedience and adherence to a foreign power to wit, the Sovereign State of Canada. She also declared that Charrandass Persaud was on April 07, 2015 disqualified from being nominated as a member of the National Assembly of the Republic of Guyana. Although she declared that Charrandass Persaud was not qualified for elections as Member of Parliament due to him being a citizen of Guyana and Canada, the Chief Justice pointed out that his vote was not a nullity. “The no-confidence motion would not have failed,” the Chief Justice said, adding that same was protected under Article 165 (2) of the Constitution of Guyana. The Chief Justice handed down these ruling simultaneously before a packed courtroom at the High Court in Georgetown where several applications were filed as it relates to issues arising after the passage of the no-confidence motion. First to move to the court was private citizen Compton Reid, who among other things, asked the court to set aside the no confidence motion on several grounds, including that Charrandass Persaud holds dual citizenship. Then Attorney General Basil Williams asked the court to determine a number issues, one being that Government was not defeated since there was a failure to obtain 34 or more votes on the no-confidence motion and that this breached Article 106(6) of the Constitution and was unlawful and the certification by the Speaker by issuing Resolution 101 could not be conclusive. Then there was Attorney-at-law and Chartered Accountant Christopher Ram, who in his application, asked the court to declare the no-confidence motion properly passed and that Cabinet including the President shall resign with all convenient speed, but remain in office until after the President takes the oath of office after elections to be held within 90 days from December 21, 2018 – that is by March 21, 2019 – or within such extended period as the National Assembly shall determine by resolution support by not less than two-thirds of the votes of all elected members.